Georgina has over 10 years’ experience in the Complementary and Alternative Medicine field, and has been practicing massage since 2001. In 2013 she graduated in McTimoney Chiropractic following 5 years study. Whether you want therapeutic help and healing for problems/injuries or a relaxing massage, Georgina is able to help and work in conjunction with your massage therapist, consultant, physiotherapist, osteopath or chiropractor to help you achieve the best outcome. Following her formal basic massage training, Georgina discovered that essential oils fascinated her, and went to The University of Greenwich to further her training in this field. The same course trained her in Stress Management, and here she furthered her skills in deep tissue and sports massage techniques. Impatient to start practicing Aromatherapy, whilst in the 2nd year of her BSc (Hons) she completed diplomas in Aromatherapy and Indian Head Massage, and additionally concentrated on teaching herself the basics of herbal medicine. Working in a Student Clinic in a GP surgery in Lewisham, she was moreover able to help with the training of her peers, learning much in the process. In 2004, on graduation, she took up the position of Practice Manager at The Complementary Health Care Clinic and held this position for nearly 7 years until the birth of Amelie in March 2010. 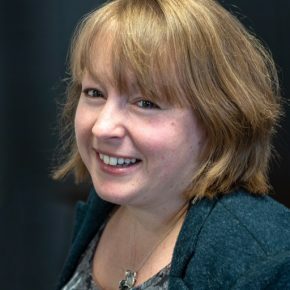 She remains part of the management team; helping to direct the centre and its busy team in becoming synonymous with good quality advice and healthcare in Norwich and the surrounding areas, although has recently taken more of a backseat following the birth of Flynn in August 2011. In early 2013, George completed the grueling five-year long training program to graduate as a McTimoney Chiropractor, an ambition she has had since completing her degree in 2004! The final year involved a 1.5days a week in the Student Clinic, treating under video supervision. She is now a GCC registered chiropractor (GCC 03782), accepting new patients. George works part-time alongside being a mummy. She is available mainly afternoons and evenings Monday-Friday, with Saturday availability from early morning. She writes several columns for publications including the Eco Echo on a varying number of topics including supplements, herbal remedies, therapies, and self-help pages directed at specific ailments or conditions and she is occasionally available for talks. Lifestyle, diet, basic nutrition, supplement, herbal and homeopathic advice is included as an essential part of all consultations and appointments. George provides a holistic approach to both Chiropractic and massage, looking at the whole person and their individual needs. When you first come for a treatment, a comprehensive medical history is taken, including details of any medications and for Chiropractic treatments an in-depth physical examination is performed in order to diagnose what may be troubling you. Treatments are tailored to your individual needs – to deal with a specific health complaint or injury, perhaps to reduce stress and put into place some lifestyle changes, or simply for an hour of time to recharge and relax. Please contact her directly on [email protected] or 01603 901540 during normal working hours for any queries or further information. Late night and weekend emergency appointments are always available whenever possible. George works every weekday afternoon and evening, mornings are negotiable. She is also available Saturday mornings 8am-2pm. Sessions will always include a consultation at the beginning of each and every session. You should allow longer for your 1st consultation as a comprehensive medical history is taken, and therefore you may get a shorter treatment on your first visit. If you have a complicated medical history it is advised that you book a longer 1st session. First appointment must be an hour or longer. GCC – General Chiropractic Council; in order to call yourself a chiropractor you must have a current registration with this organization, as Chiropractic is a statutory regulated discipline. I adhere to their code of ethics and standard of proficiency in practice. MChiro – Integrated Masters in McTimoney Chiropractic, graduating 2013 with the McTimoney College of Chiropractors, accredited by the University of Wales. MMCA – Member of the McTimoney Chiropractic Association, my professional registering body. I adhere to their code of ethics and do Continuing Professional Development (CPD) through this association. BSc (Hons) – Bachelor of Science in Complementary Medicine, graduating 2001 with Greenwich University. Specializing in Clinical Aromatherapy and Stress Management. MTI – diploma of massage & anatomy and physiology with The Massage Training Institute. This association is also my registering body. I adhere to their code of ethics, and my qualification meets their exacting training standards.